Our journey started back in 2011 when our founder Sahil Rao started his journey in the print industry. He studied Print making from the hands of a local family in a small town of Germany called Biberach. 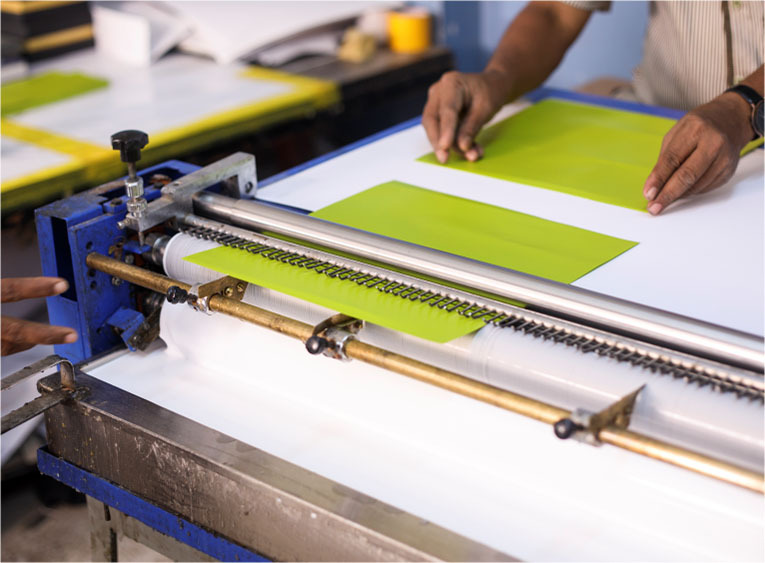 After getting hands on experience with the traditional print techniques, he shifted back to India to take over the family owned business of Commercial Offset Printing. After working in the Commercial Printing business for about a year, he thought of exploring into new areas to maintain the required growth and innovation of the company. We started with our operations in 2015. 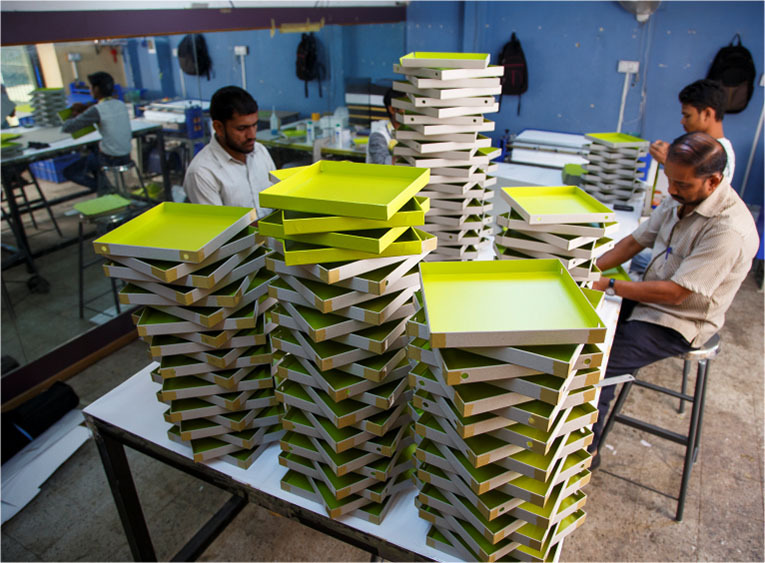 Initially we started producing with only handcrafted boxes but with the focus to improvise on the quality, We started investing in the latest machineries. Today we have a complete in house set up for Customized box making. 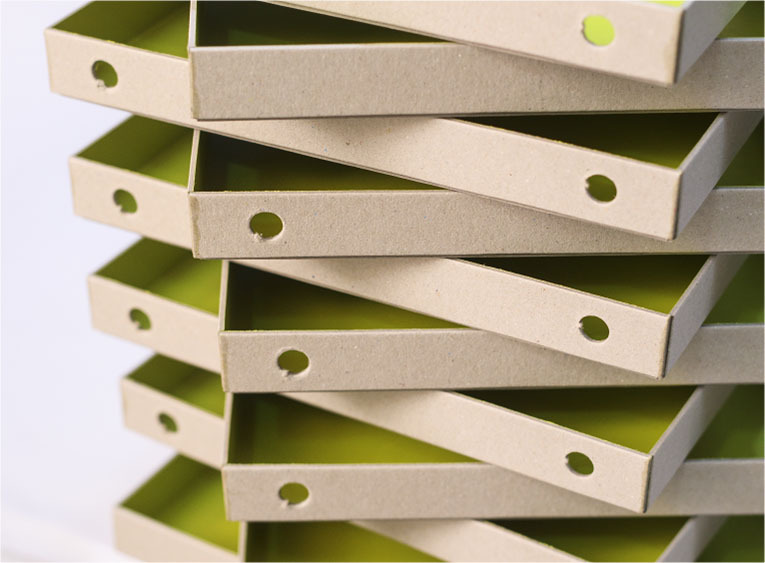 Our focus has always been towards Quality and Customization in packaging. 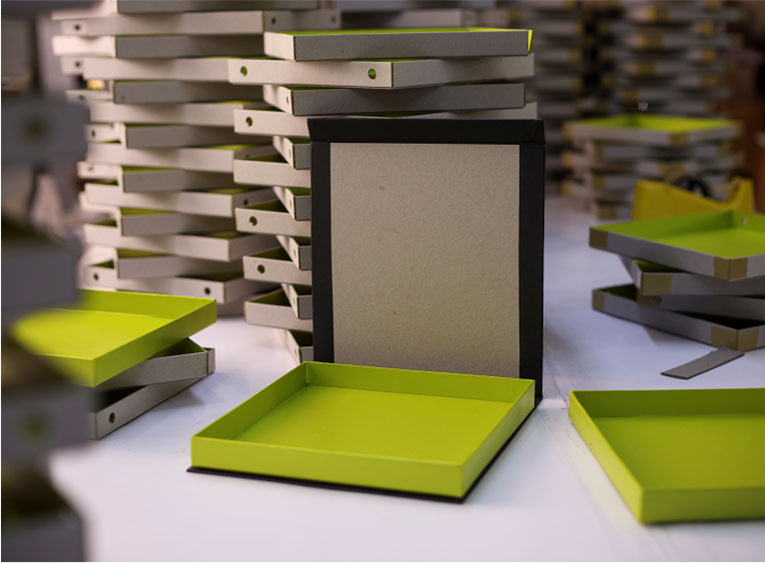 If you have a product, we know how to sell it because packaging is what makes the first statement about your product till the time your customers Unbox it! Today, our passion for quality has been recognized throughout the country and made us proudly stand here as ‘The National Award Winning Company’ within its first year. We have been awarded 4 National Awards in the year 2016 for our Innovation in Packaging. Our dream is to cater to every industry. It need not have to be just B2B. Even if the order is just 5 boxes and it is customized then we can do it and at an economical price. Come Unbox a dream with us! and the only rigid box making company from Pune to Win 4 National Awards till date. These Awards were held in Delhi on the 15th January 2017. These awards are organised by The All India Federation of Master Printers (AIFMP) recognized by the Govt. of India. 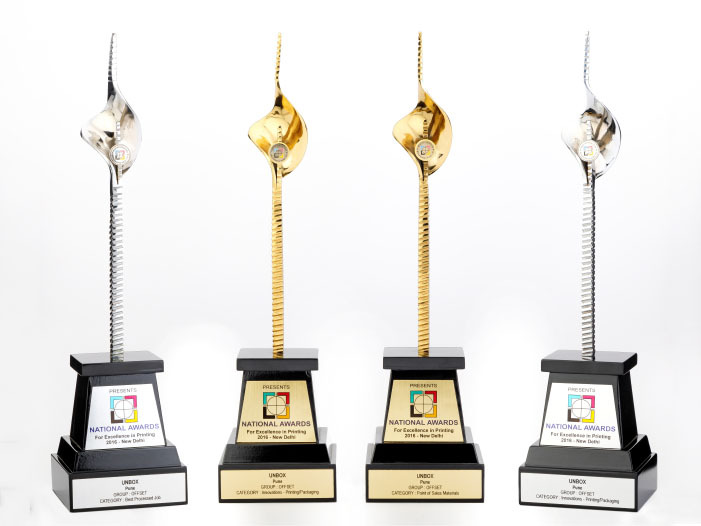 These awards were won under following categories. 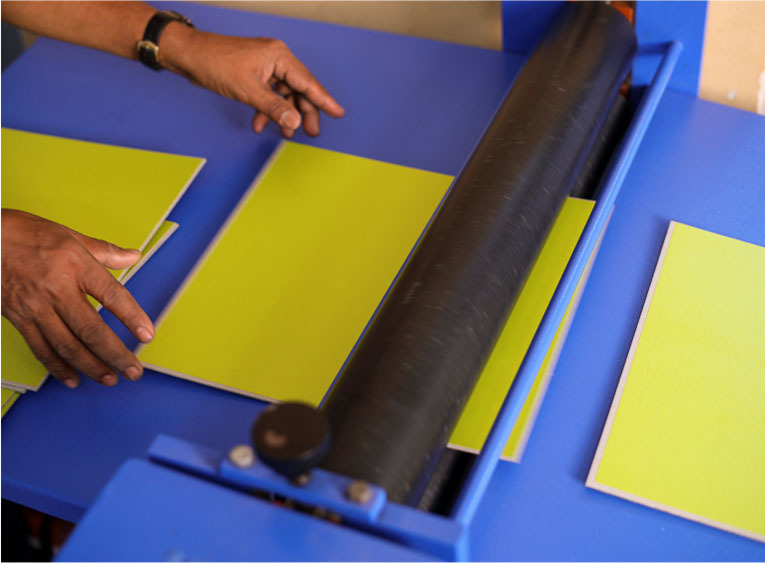 We have been associated with an offset printing press known as Akruti which is recognised amongst the finest offset printing presses in the country. Akruti has won 15 National Awards for Excellence in Printing within the last 3 consecutive years. Akruti offers you a host of specialized print and post print techniques and processes that enhances the total effect. Want to Unbox a dream with us?